Fred Simeone’s new book about the conservation and preservation of cars is out today, launched at Bonhams’s “Preserving the Automobile” auction at the Simeone Foundation Automotive Museum, Philadelphia, – [Link]. Fred is prompting a reevaluation of car collecting with his support for sensitive preservation rather than restoration. There have been two preservation classes of cars for only a few years at the most famous car show in the world, the Pebble Beach Concours [Link] – not restored and finished to spotless perfection, but in faded paint and pitted chrome. It is a growing collectors’ market – prices for unrestored cars are rising fast. 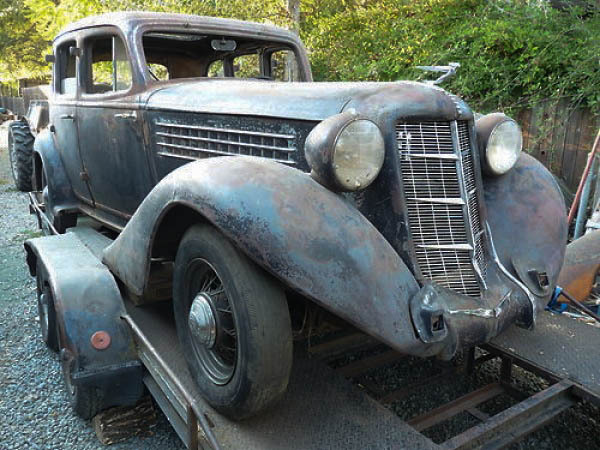 There’s also a growing interest in “barn finds” – abandoned cars forgotten and found again. They’re being appreciated because they are in “original” condition, bearing the authentic marks of their time; more and more collectors are reluctant to strip down and restore to showroom condition these subjects of automotive archaeology. The world of the car enthusiast and collector is evolving into a field of heritage, when the importance of the automobile to modernity is being recognized and crucial questions of historical authenticity, conservation, preservation and restoration are being addressed. These are key concerns of our Revs Program at Stanford – [Link]. I have been discussing the restoration of castles and ancient monuments from the eighteenth century, the Greek revival of architectural pastiche, copying ancient architectures. The theme in the archaeological imagination given different inflection in these building projects is one of the possibility, feasibility and, crucially, the desirability of rebuilding the past, making good the loss of time and ruin. A key archaeological task is to sort through the debris of history. And then what? To witness the loss by consolidating ruins as just that, ruins in a new landscape? To rebuild and restore, to fill in the gaps? To replicate exactly? Or to build again, incorporating the past into the present? Does authenticity lie in the original fragment, the broken stone statue itself, or in the principles of proportion and order of an ancient culture? Or even in a sentiment such as baronial splendor? In his book The Past is a Foreign Country (1985), David Lowenthal reminds us of this ambivalent, even paradoxical, attitude towards antiquity held since the Renaissance humanists. After Petrarch, retrieving antiquity could be seen a necromancy of rebirth, reincarnation, even resurrection. Working on ancient texts was conceived in explicitly archaeological terms — unearthing fragments (see Alain Schnapp’s Discovery of the Past for many variations on this elision). And the ruins of classical antiquity, the exhumed and lacerated relics, buildings, artifacts, texts, needed reconstruction. They needed a creative rebirth that came through their inclusion in the present, their metamorphosis into new work, the dead restored to life and health. Early scientists could describe their work as the restoration of ancient wisdom because innovation and renovation were the same. To invent was not to devise a solution unknown to previous generations, but to find something which had been lost — in Latin, invenire is to uncover or come upon. The paradox is that in order to preserve the past, it must be creatively reused, even destroyed. And herein lies an archaeological anxiety, that in order to know the past, we dig, we intervene and destroy. The Revs Program at Stanford (revs.stanford.edu) was established in 2011 to study the history of cars and automobility, to bring a human and historical perspective to bear upon our understanding of automobile design, and people’s relationships with an iconic component of modernity in an archaeology of the contemporary past. 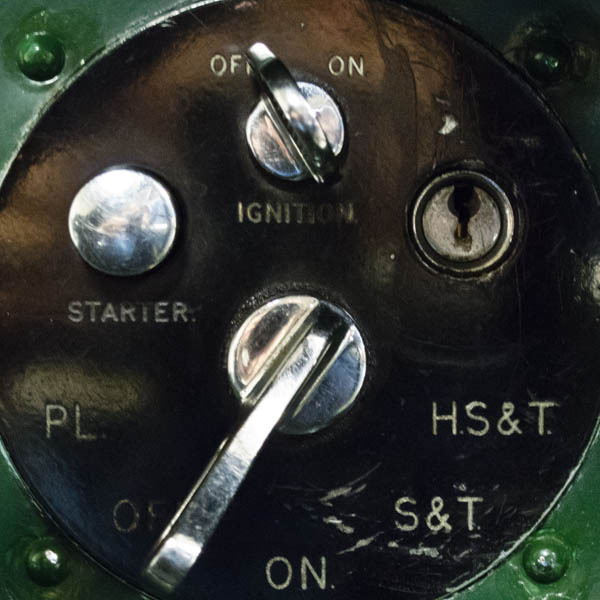 We are working upon a collection of cars, with an archive of texts and imagery, with a community of enthusiasts passionate about what is so much more than an industrial artifact. One set of answers to the question we are posing of what can be done with old cars concerns collection and restoration. How should an old car be restored, to prevent it from rusting and rotting? Bruce Canepa Design is a restoration studio and museum in nearby Scotts Valley. Bruce’s displayed vehicles are absolutely and remarkably pristine. His team can restore a car to as-new condition, stripping back to bare metalwork and completely rebuilding. You can step back in time as you open the door of the black Mark II Jaguar I encountered in his workshop, back to when the car was on the showroom floor in 1965. But the Jaguar has no life, I feel. Miles Collier’s 1933 Bentley, once owned by Yorkshireman Eddie Hall, still has the rear light roughly mounted to illuminate the number decal required to race at LeMans in 1950. The original cracked leather seating, on which Eddie sat in that race is there too, and the instruments on the dash are clean and perfectly functioning but marked by the patina of age and use. 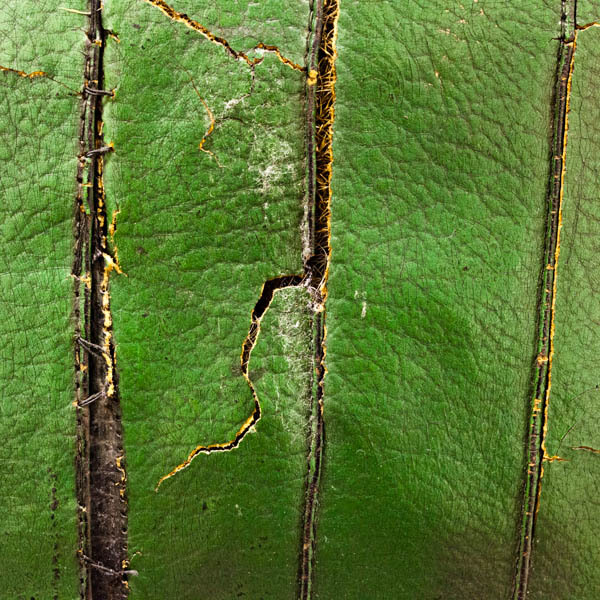 Signs of wear are marks of life that lend character to the car’s physiognomy; they witness the life of the artifact and its relationships with its drivers, passengers, the travels it has traced. Relevant concepts here are originality and authenticity, the genuine and the fake, maintenance, conservation and restoration. All revolve around a fundamental disposition we find in an archaeological sensibility — a care for things. In a classic case of archaeological restoration, Arthur Evans cared deeply about the site he was excavating — Knossos, a prehistoric architectural complex on the Aegean island of Crete. The winter rains that fell after the first summer seasons of excavation in the 1900s started to dissolve away the excavated ruins. He had roofs erected, and then took a remarkably daring step of rebuilding Knossos in iron, concrete and plaster, not so much as it had been, but as a restored ruin that very much witnesses Evans’s own archaeological vision of this prehistoric culture located somewhere between Edwardian and Art Deco England. This has been deeply controversial. Just where in history is this Knossos? How representative of the original are the restorations? Some, and I am with them, consider that Evans created a Knossos between past and present, not least by building a simulacrum of ruin: the restorations look like ruins, but are not (though they are now in the process themselves of restoration as water seepage has rusted the iron frameworks and cracked the concrete). In this the ruins of Knossos are genuine, because they generate response that makes us so conscious precisely of the challenges faced when we care for the past. Immortality is not an option. We must accept loss and decay, though we may choose to care and work upon the remains. Good lord, I have been thinking about this stuff for 40 years. I’m on the advisory board of The Stone Age Institute (study of early man) you might want to know about them. You can find their website with Google. I was a Lucasfilm film maker for 20 years. Run a hot rod site on Facebook with 82,000 members. Collect antique electric trains (original, no restored ones). Your comments are well considered. I am circling around this theme of life-lessness due to restoration also – in a project which is about a wonderful ruin from World War 1. The walls are a fascinating texture; weary crinkles of time, and it pains me to think of them white, utterly restored, closed. No gaps, no fissures which the imagination can crawl into and travel. And I come to think of the folded and pleated time which Michel Serres writes of, and that perhaps decay is a time-wrinkle; it is a temporal mode of trans-portation which is much more sensuously convincing than the closed, sterile, restored object. I have recently become aware of Umberto Eco’s “the open work” and think that this may also be a way of accounting for the allure of decay; it is open. For imagination, transportation.